Here’s your chance to get your own urban Maori T-shirt designed by artist Kereama Taepa. The unisex sleek black shirt is made from soft cotton. 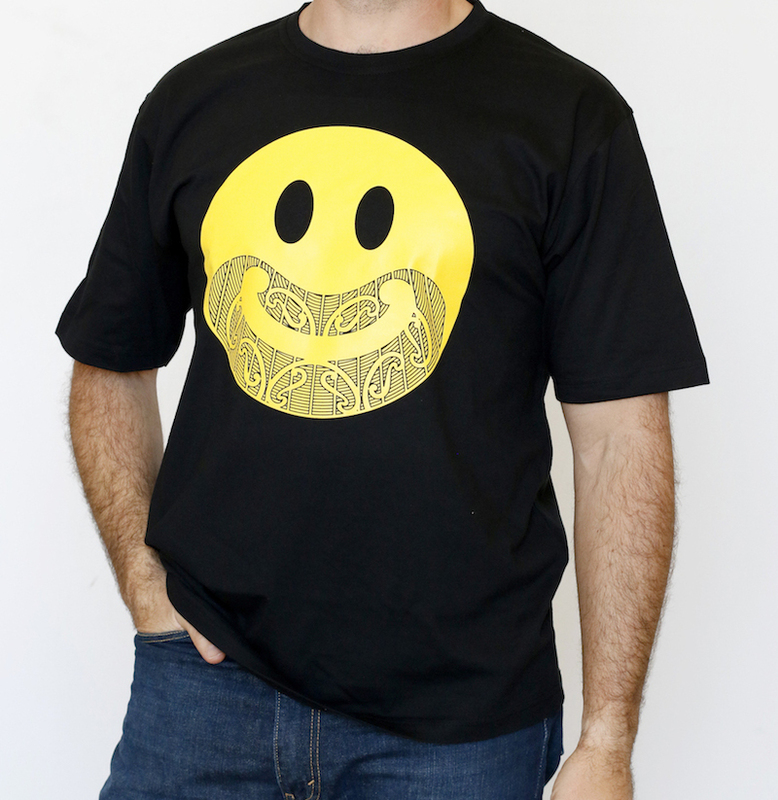 This Smiley print has been given a Maori makeover!